Check out top 10 makeup mistakes you’re probably making everyday. Here is a fabulous beauty checklist to bring you back on the right track. All of us (including me) have made some makeup blunders at some point in time. These common mistakes unknowingly become a part of our routine until we realize the skin damage or makeup-gone-wrong scenario. Below is a checklist that you can go through to check if you’re on the right track. 1. Using low quality makeup: I’m sure most of us fall in this category or have experimented with this idea in the past. Either due to budget constraints or simply because that cute packaging has tempted us to buy low quality makeup products. During that time, we tend to ignore the fact that these cheap cosmetics contain ingredients that harm your skin. We recommend that you always buy makeup of reputed brands as they adhere to all the safety guidelines. 2. Using products not suited for your age:It is also one of the most common makeup blunders made by females. Often due to old habits we continue to use the same old products that we probably used in our teenage years. It is best to replace these products with ones appropriate for your age as skin needs change with age. 3. Choosing a wrong shade of foundation: You will find a huge array of foundations in the market and in all possible shades. 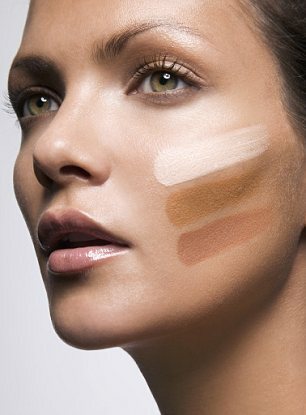 As a result, most women end up confused and pick a wrong shade of foundation. If you end up looking pale and white after applying your foundation then it’s a wrong one for you. The first step while choosing a foundation begins with a fact that foundations are applied to give you an even complexion and not a fair complexion! Pick a foundation that easily blends with your natural skin tone and gives you an even toned look. You can even experiment and mix two shades to create a perfect shade for yourself. 4. Not blending evenly: To have a natural looking face always blend the makeup applied on your skin. Blend well one layer before you go on to apply more. An important tip here is to also check your face in different lights to know how much more is needed. 5. Too many bright colors: Bright colors are in vogue these days but going overboard with them will only make you look eccentric. Remember to use bright colors on only one place, either on the lips or on the eyes. 6. Applying foundation on dry skin: Skipping the moisturizing step before applying foundation is a bad idea. A foundation will highlight all the dry patches on your face even if it is of a creamy texture. Your skin will look lifeless and old instead of having that dewy glow. 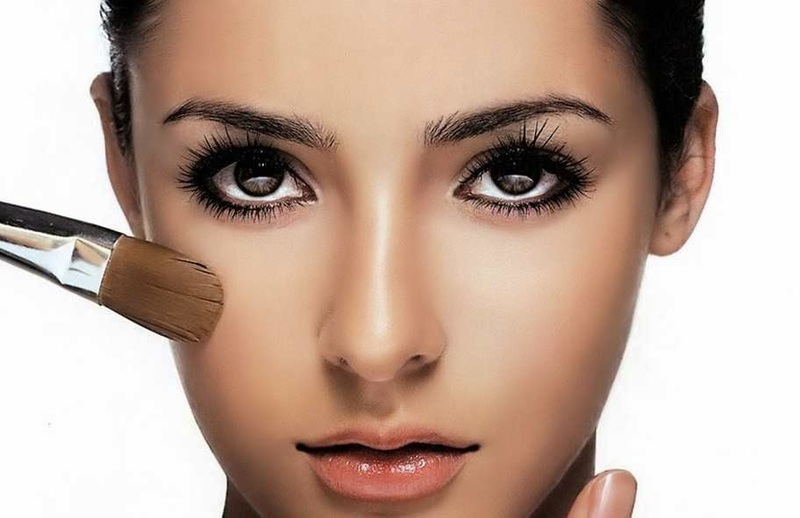 We would recommend that you always moisturize your skin before applying a foundation. 7. 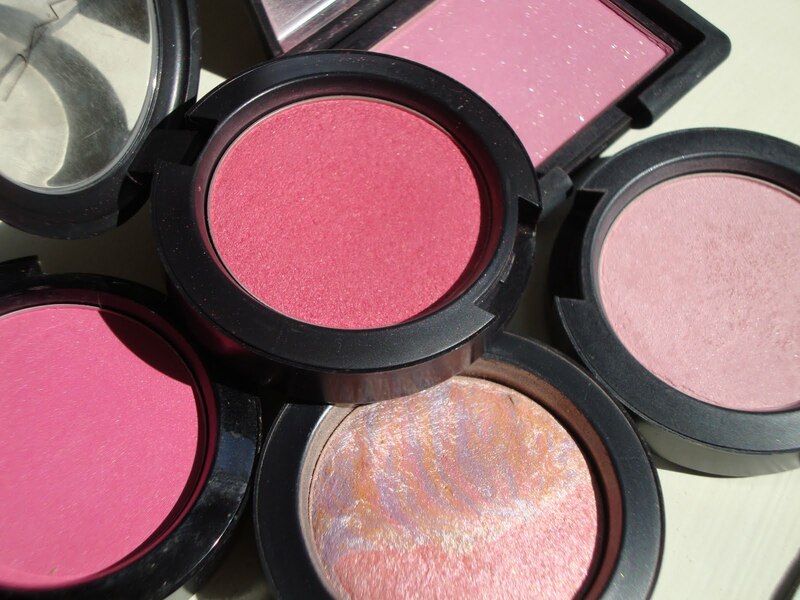 Blush overdose: Adding more than required color to your cheeks will make you look like a clown. The purpose of a blush is to give you a natural healthy glow and not make your cheeks look unnaturally pink. While picking a blush always consider your natural skin tone and ensure to blend it well after application. Fair skin tone should try shades like rose or apricot while darker skin tones should try shades in brown or plum. 8. Not applying primer on oily skin: People with oily skin should never avoid using a primer. Oily skin does not allow the makeup to stay too long. Picking a matte effect primer will ensure that the makeup stays longer and will keep the shine away too. Later in the day, if needed, you can blot that excess shine with either blotting sheets, tissue or your compact powder. 9. Unkempt eyebrows: No matter how good your eyes or lips look, people will notice your unkempt eyebrows. Be careful while choosing a shade of eyebrow pencil and while trimming the shape. 10. Not experimenting enough: Makeup can help you to enhance your natural beauty. Sometimes we apply too less makeup and follow old makeup techniques. 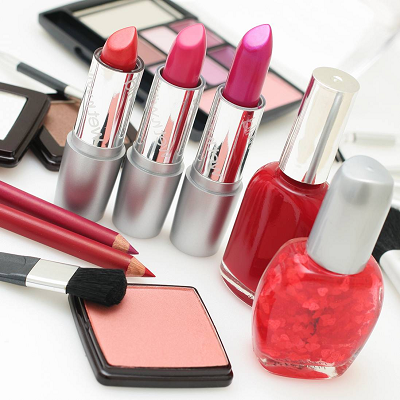 Steadily add makeup essentials in your kit to look and feel more confident. We recommend you to go ahead and experiment more.